Family life since World War II has undergone dramatic changes. Cultural shifts emphasizing personal needs and fulfillment have transformed traditional understandings of marriage and divorce, gender equality, and sexual behavior, resulting in a marked increase in single-parent homes, dual-income couples, divorce, and blended families. In this book, contributors who represent diverse traditions in North America show how their respective traditions have responded to changes in the family in the last half-century. 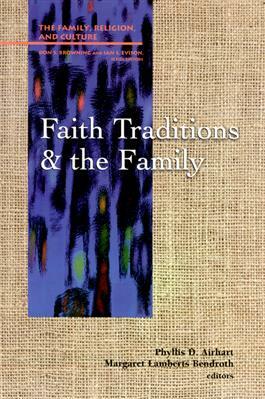 Exploring the broad range of responses in their traditions--from conservative to progressive--they reflect on the role that theology, Scripture, and the social sciences have played in this transformation. Further, they take a realistic look at the influence of mainstream religion and its role in future discussions of family life.